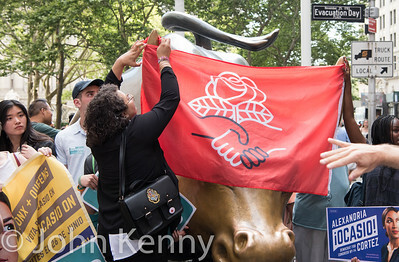 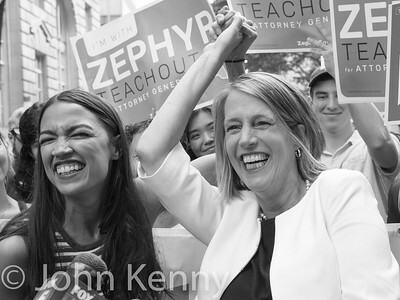 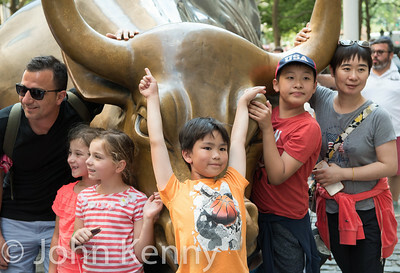 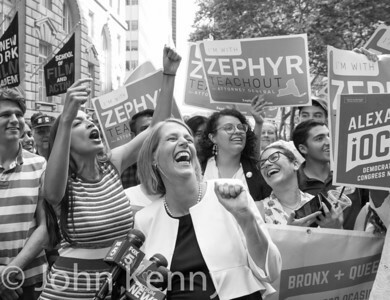 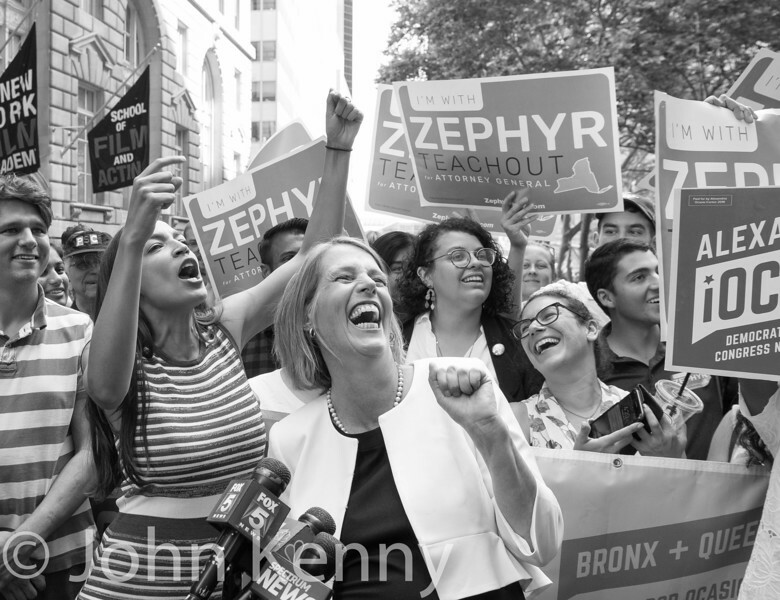 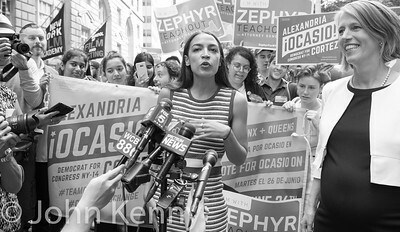 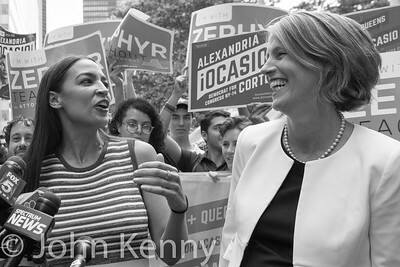 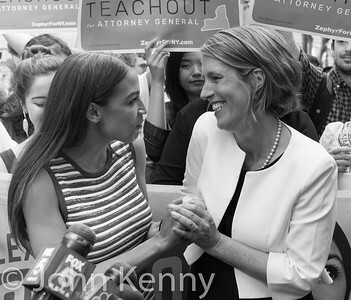 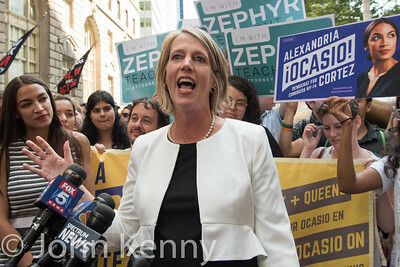 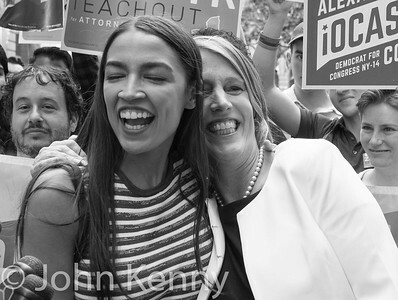 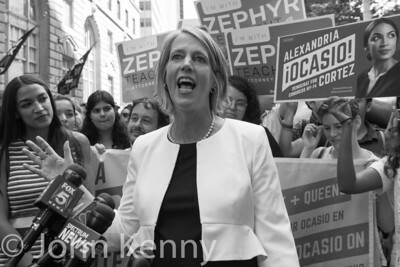 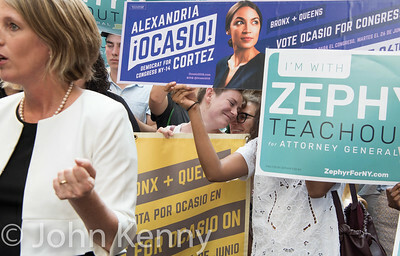 Alexandria Ocasio-Cortez endorses Zephyr Teachout for attorney general, at the "Charging Bull" in Bowling Green on July 12, 2018. 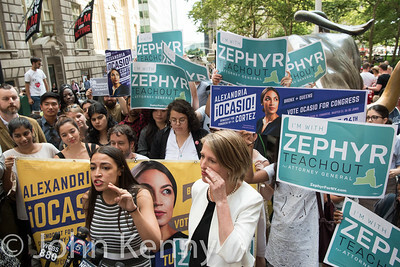 A tour guide atop a passing double decker bus shouted out to Ocasio-Cortez as the bus idled in traffic just a few feet away. 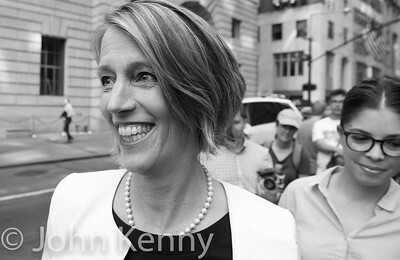 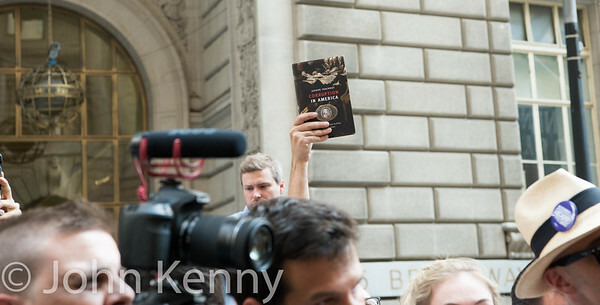 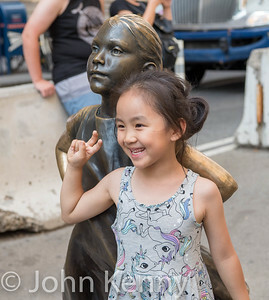 She waved and shouted back but tried to direct attention to Zephyr Teachout.